In one of the boldest steps to be taken in the direction of clean energy in India, the central government has decided to provide a 30% subsidy for rooftop solar installations in the country. The move to provide blanket subsidies is unprecedented for India, and indeed for any low-income country, and has usually been found only in rich nations such as Germany. In special category states such as North-Eastern States including Sikkim, Uttarakhand, Himachal Pradesh, Jammu & Kashmir and Lakshadweep, Andaman & Nicobar Islands, the subsidy will be 70%. A total of Rs 5,000 cr (Rs 50 bln or about $800 mln) has been set apart for the rooftop solar installation program, the government said. India is considered the best place to put up solar PV projects after Sub-Saharan Africa due to the large amount of insolation received by the country, as well as the tremendous and growing need for energy. It currently depends on ‘dirty coal’ technologies to meet around three quarters of its power requirements, putting heavy pressure on the environment. The country has never had a national subsidy program to encourage solar installations, unlike others like Germany, Spain and Japan. Subsidies have played a big role in making rooftop solar energy among the biggest sources of power in the above countries. 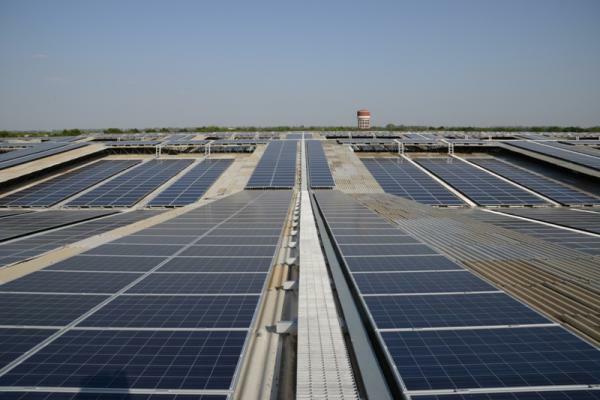 India has a target of having 100 GW of solar power generation capacity by 2022. Grid-connected rooftop solar installations under the new project will contribute around 4.2 GW out of the total. The remaining will come from large solar farms and non-subsidized solar rooftop installations. Under grid-connected rooftop solar program, customers can buy solar equipment such as panels and inverters and feed the power generated back to the electricity grid. Surplus solar power generated by each individual household, industrial, Institutional, commercial or any other type of buildings can be fed into the grid. There will be no subsidy for commercial and industrial establishments In the private sector since they are eligible for other benefits such as accelerated depreciation, custom duty concessions, excise duty exemptions and tax holiday etc, the statement added. So Tar, 26 States have notified their regulations to provide Net Metering/Gross metering facilities to support solar rooftops installations. A typical Indian household without air conditioners requires an installation of panels with a capacity of around 1,500 watts, which costs around Rs 1 lakh in India at present. A 2,500 watt installation, which would be enough for a household with one AC, would require about Rs 1.5 lakh at current prices. Solar panels and inverters are available in India via ecommerce websites such as Snapdeal and Amazon. The current cost of generating electricity from solar farms is around Rs 4.60 per unit (kWh), while it is around Rs 6.5 per unit for smaller, rooftop installed projects. India has a tiered system of charging for power. Those who use upto 200 units per month typically pay only around Rs 3 per unit, while those who use over 500 units have to pay around Rs 10 per unit under a special slab-based system. Commercial establishments pay Rs 6 or higher per unit irrespective of consumption, leading many to rely totally on diesel gensets for their power. “This is cheaper than the diesel gen-sets based electricity generation. It is also cheaper than the cost at which most DISCOMs would make power available to the industrial, commercial and high-end domestic consumers,” the government said. “This capacity of 4200 MWp (under the program) will come up through the residential, Government, Social and institutional sector (hospitals, educational institutions etc.). Industrial & commercial sector will be encouraged for installations without subsidy,” the government said. Solar energy is one of India’s prime minister Narendra Modi’s pet themes. As chief minister of Gujarat, Modi had overseen the setting up of one of India’s biggest solar farms in his home state. Modi had been closely involved in the recent global climate talks held in Paris, where India had promised to reduce its carbon emissions. Soon after coming to power, Modi revised the target of India’s National Solar Mission from 20 GW by 2022 to 100 GW. Out of the total, 40,000 MW is to come through grid connected solar rooftop systems. “This approval will boost the installations in a big way and will act as a catalyst to achieve the goal,” the government said. “This 40 GW will result in abatement of about 60 million tonnes of CO2 per year and will help to fulfil the commitment of India towards its contribution in mitigating the effect of Climate Change,” it added.